It was President Sirisena who assured the country that war heroes would be protected, while his Prime Minister and the Foreign Minister (at the time), committed the government to Transitional Justice. On post-conflict processes such as issues of reconciliation and accountability, while respecting universal norms and guidelines, it is still the sovereign decision of a country how it will best serve the people’s and the nation’s interests. This is evidenced by numerous and widely diverse instances of post-conflict decisions on accountability by governments around the world. It is a process so fraught with difficulties and contending narratives that the people look to their political leadership to tread with caution and wisdom in handling such responsibilities. It is this grave responsibility for the consequences of its action that demands that States search seriously and relentlessly for conceptual clarity and underlying assumptions when offered advice and solutions by the well-meaning quarters of the international community and in order to benefit from the collective expertise of the United Nations. One’s own unique circumstances should be carefully analyzed and presented in order for those solutions to be meaningfully adapted, and for our experiences to be of use to the rest of the world. Transitional Justice, the supposed panacea for all our post-conflict problems, was hastily introduced deep into Sri Lanka’s own system and embedded within it way before the public came to know about it, without adequate discussion of its underlying logic for applicability to Sri Lanka, or examining the spread of its remit. Instead, it was swallowed whole and entered the mainstream to be regurgitated by our own Foreign Ministry as Minister Mangala Samaraweera threw himself with unrestrained enthusiasm at Resolution 30/1 which promised the implementation of Transitional Justice. And now we have the Special Rapporteur hurrying us along, disappointed at the delay in implementing its promises. “Systemic failure”? Would you describe Sri Lanka as a state that suffered “systemic failure” which manifested in massive rights violations? He says, “Such States usually need reforms….” But does the government agree that Sri Lanka is such a State? Since “systemic failure” seems to be the sine qua non for transitional justice, is that the basis on which the government signed up for it? Searching for the origin of the decision to apply “Transitional Justice” to Sri Lanka’s reconciliation process, I came across a paper titled “Concept Note Template, Peacebuilding Fund Project, Peacebuilding Priority Plan – Sri Lanka” published with the official logo of the “UN Peace Building Fund”. The Project Title is shown as “Support for Sri Lanka to design and implement transitional justice mechanisms: Phase 2”, dated January 2016. “Following more than 25 years of armed conflict, and subsequent lack of progress in addressing past violations and abuses, in 2015 the Government undertook the commitment to implement a comprehensive transitional justice strategy, based on Human Rights Council resolution 30/1 (cosponsored by Sri Lanka) and in follow-up to the report of the OHCHR Investigation on Sri Lanka (OISL, A/HRC/30/61)”. Referring to UN resolutions on peace building, it elaborates the rationale for Transitional Justice in Sri Lanka, which includes security sector reforms and contribution to “Constitutional aspects”. This shows the sweeping remit of TJ, with “a professional, accountable and effective security sector…effective demobilization, disarmament and reintegration programmes…transition from demobilization and disarmament…promoting poverty reduction, rule of law, access to justice and good governance, further extending legitimate State authority…etc.” which sounds more like a prescription for Sierra Leone under Charles Taylor with its dangerous and insane militias rather than the strong democratic state of Sri Lanka with a well-trained and disciplined military that was victorious against unrepentant terrorism and remained a democracy with functioning institutions throughout that period. How is this prescription suitable or relevant for Sri Lanka? Here we have the Peacebuilding architecture led by the Prime Minister encompassing an array of other institutions, Human Rights academia and non-governmental partners, already neck deep in TJ with its remit spreading far and wide. No serious, critical evaluation as Mr. De Greiff himself had suggested in that architecture, at least none that was seen in the public domain. When making decisions about the post-conflict order, the State which has to make that unenviable decision to go to war (or not) to protect its people and its territory, is also expected by the people to ensure that the post-conflict process is safely, fairly, prudently and intelligently carried out with carefully considered gradualism and responsibility towards all communities. It would be the Mahanayakas and not the Ministers. Well, that would be Mahinda Rajapakse. Inviting Ban Ki Moon two weeks after the war and making all the promises to him. If you want to refresh your memory, read what your bosom buddy Rajiva Wijesinghe has written on the entire shindig. BTW …………. were in Paris recently and was picked up by a Lankan cabbie – who owns a fleet of taxis and has arrangements with several hotels to ferry guest to the airports. And has dealings with the SL embassy as well – out of the blue he talked about Dayan and you ……… about your time there ….. Some of it complementary, some not; the usual talk Lankans dwell in. This is not about that ……… but it was surreal to be picked up by a Lankan in Paris and for him to start talking about you guys. Calm down my lady…..remember ..this too shall pass. No point in frothing and foaming and ranting and raving. Calm down, have a cup of tea. We are all dying, when we die, it doesn’t matter whether the country is unitary or federal. Oh yes, it does matter Periamma, the country does not belongs to you, you are caretaker, whether you live for another week or another 50 years it is your responsibility as a citizen of this country (I hope you are) to do the best for the country you are born to. That means to protect its integrity and the sovereignty. Kudos to intellectuals like Sanja de Silva, we are blessed that there are at least a few of them still around. This was done long before this government. “24 September 2010 – Secretary-General Ban Ki-moon and Sri Lankan President Mahinda Rajapaksa met today for talks focused on political settlement, reconciliation and accountability. In discussions at UN Headquarters, held on the margins of the General Assembly’s annual general debate, the two officials talked about the need to move forward expeditiously on outstanding issues covered in the joint statement of May 2009, according to information released by Mr. Ban’s spokesperson. Mr. Ban underlined that the President’s strong political mandate provided a unique opportunity to deliver on his commitments to address the issues of political settlement, reconciliation and accountability. Mr. Rajapaksa, for his part, underlined that development and education in the north of Sri Lanka were integral to national reconciliation. He gave examples of progress made on reconstruction and rehabilitation efforts in that regard. The ultra-racist views of DJ and SJ shows up in every article and their points they try to make. They have selective hearings. Any body that talks supportive of international norm is a bad person, but anyone that talks supportive of the pro-Sri Lanka, pro-Sinhalease is a good person. They can’t hear what the Tamil people want, but support what other racists want. And, BTW, Sri Lanka didn’t wage the war to protect its people, it waged the war to kill and suppress the Tamil people. O Sanja, I cannot but help detect the hidden hand of the bearded one behind all this tosh. Rest assured that whatever tactics the GOSL pursue, our peacetime persecutors will get no satisfaction. All this appearing to accede is but a smokescreen. An old GOSL tactic aimed at wrong-footing our tormentors. The psychopathic, racist scum in our forces, who brought shame on us in battle, now elevated to ranaviru status, will be protected at all costs. They will live to tell their adoring progeny of the heroic deeds they did to make the tiger extinct in our blessed island. All WE the People have to endure now is the interminable Jackson Anthony and his sugary shenanigans. Sanja is becoming a ‘brand’ in her own right, whether the bearded one is behind her or not. You mean Fidel Castro or Karl Marx, George Bernard Shaw, Dr Abraham T. Kovoor, ……………….? Now you are wondering who let the dogs out? Sorry to hear that you didn’t get the memo yet. According to the reports you could get high risk LOANS to run the country from 2 sources. One source from East would provide high interest rate loans. No worries on checking your ability to pay back the loan. In fact that is not even a requirement. But there is a catch. That is your government needs to sell some valuable real estate based on the market value that is determined by your creditor. But here is the good news. You don’t need to worry about it. Only next generation will deal with it and work as a slave for their life. Your master preferred these loans and because of it now you got an opportunity to test the maximum speed limits of your luxury vehicles on highways. Let check the bad boys from West. These bad boys want to make sure you would straighten your acts and behave in civilize manner so that they could get their investment back. Your current government decide to act now rather than pass it to the next generation. It sounds like a bad decision right? Thank you Sanja. I hope the trolls of Colombo telegraph will take a few minutes to actually read the article, most of all, one and all need to understand that there is no one mold for post conflict transitions, the bottom line is that whatever the solutions adopted should not be a catalyst to another conflict. You can start 1956 all over again, with various outrageous and stupid claims. It was MR, dear Sanja dear Sanja dear Sanja. Sanja implies that fighters hero MUST have committed war crimes to qualify as HER hero! 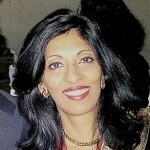 Sanja posses the question ~ “Would you describe Sri Lanka as a state that suffered “systemic failure”………….?”. Most Lankans think so but Sanja HAS to say that SL is a well oiled system. So she brings in the emotive comparison ~ “……….which sounds more like a prescription for Sierra Leone under Charles Taylor with its dangerous and insane militias rather than the strong democratic state of Sri Lanka with a well-trained and disciplined military……….”. Sanja wants DJ to have a job. I think you’ll find both Sanja and DJ are fishing for jobs. Are they both fishing in the muddy water? Or are they trying to muddy the water to catch fish?